In Canada, online gambling can be divided into two main categories. These categories include First Nation and provincial. In accordance with Canadian law, it is only the provincial government authorities that have the power to offer real cash online gambling services to its inhabitants. On the other hand, the First Nation tribes such as the Kahnawake are adamant that they too have the legal right to license & regulate the online gambling industry and they maintain that online gamblers around the world should have access to these gambling portals. Kahnawake is the primary tribe which currently issues such licenses to more than 200 operators, all of which are based in Kahnawake Mohawk Territory. At the time of writing, this authority is still the only major licensing jurisdiction in North America. Other First Nation tribes are also now looking to follow suit and become reputable licensing authorities themselves. Kahnawake is an Indian land reserve in Quebec, Canada. This 48 square kilometre patch of land is independent of Canada and it sits just across from Montreal on the St. Lawrence River. The name of the authority which is currently responsible for issuing online gambling licenses in this particular jurisdiction is The Kahnawake Gaming Commission. This licensing authority monitors and regulates all of its licensees which operate from within its jurisdiction. These perfectly secure online casinos can be accessed by Canadian players. Players from most other countries (where online gambling is permitted) also now have access to these sites. Most of the other online casinos which also accept real cash wagers from Canadian players today are generally licensed either in the UK (by the UK Gambling Commission), in Antigua & Barbuda (by the Directorate of Offshore Gaming), in Malta (by the Malta Gaming Authority, formerly Lotteries & Gaming Authority of Malta), in Gibraltar (by the Government of Gibraltar), in in Curacao, former Netherlands Antilles (by the Curaçao Internet Gaming Association), in the Isle of Man (by the Gambling Supervision Commission) or in Alderney (by the Alderney Gambling Control Commission). Today’s most secure Canadian online casinos are powered by some of the world’s leading online casino software providers (e.g. Net Entertainment, Microgaming, Playtech, IGT Interactive and Realtime Gaming, among others) and in addition to accepting Canadian dollars, they also now accept a wide range of perfectly secure Canadian online payment options. You will also find that in addition to English, these casinos also support other languages such as French, and several other major language options are also usually available. If you want to play in a fully licensed Canadian online casino today, visit our online casino review section where you can find out more about exactly what our most highly recommended online casinos have to offer. Canadian players must be over the age of 18 to gamble in the real money mode at any of these online casinos. About.com - Article that discusses Canadian gambling law. Something for researchers to be aware of is that each province and territory in Canada is mandated and authorized to regulate their own gambling activities. This prevision is granted and ingrained in the federal law in Canada. Alcohol and Gaming Commission of Ontario - This official body regulates gambling in Ontario. The website provides a lot of information about gambling in Ontario as well as the oversight of this body over the OLG (Ontario Lottery and Gaming Corporation). Ontario Lottery and Gaming Corporation - The official website for the Ontario Lottery and Gaming Corporation (short: OLG). 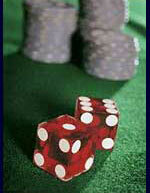 Provides information about the current winning lottery numbers and other useful gambling related content. Problem Gambling Helpline - Ontario problem gambling helpline for those who reside in Ontario and may be looking for assistance with their gambling problem, or information on how to prevent and protect against developing a gambling problem.